Brahms Violin Concerto in D major, soloist Hilary Hahn, at the Semperoper, Dresden with the HR Sinfonieorchester, 4 June 2014. 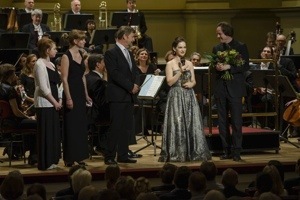 The concert celebrated Hahn’s victory in the Glashütte Original Festival Music Award. 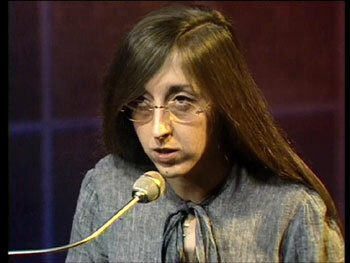 The Brahms Concerto seemed to me very close to Deep Purple, or at least a 19th-century Deep Purple. Hilary Hahn’s fingers raced on the strings, and she swayed with very physical participation, making eye contact with the musicians in the orchestra when she got a pause amongst the vertiginous solos. Pretty much like Ritchie Blackmore, except that Ritchie has much longer hair, lots of watts, one extra string, but not so many musicians in his band. Hilary, the HR Sinfonieorchester and Brahms are very rock. Less so the Bruckner D minor 3rd Symphony that followed. Brilliant performance by the orchestra, but more like the soundtrack for Star Wars or something like that, with very loud bits alternating with very soft bits. Conductor Paavo Järvi was great, but Brahms takes you on a roller coaster ride, while Bruckner is more of a coach tour on which you know what’s coming round the next corner. And in the Bruckner, what’s really missing is the front man.